Being a Responsive Fluid layout, it has been built on Mobile First Approach, which makes it the best of all. It is coded in LESS CSS, so that you get freedom to change its color theme of your choice by just changing a variable in CSS. 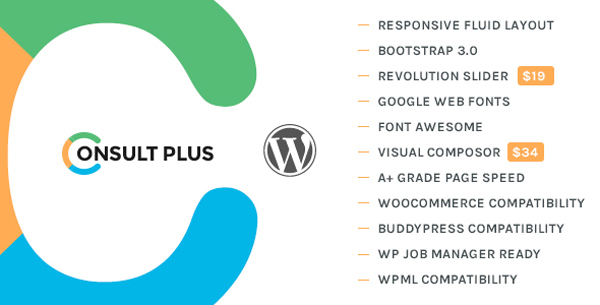 Through Consult Plus WordPress multipurpose theme, one can create 100% W3C validated & SEO-friendly web pages that are capable of caching on Google & other major search engines. This ensures that the sites are able to secure better page ranking on the search engine result page. Tested on GTmetrix.com, the theme also contains ultimate Visual Composer shortcode resource, which gives you freedom to create any new page with highly interactive features from scratch.